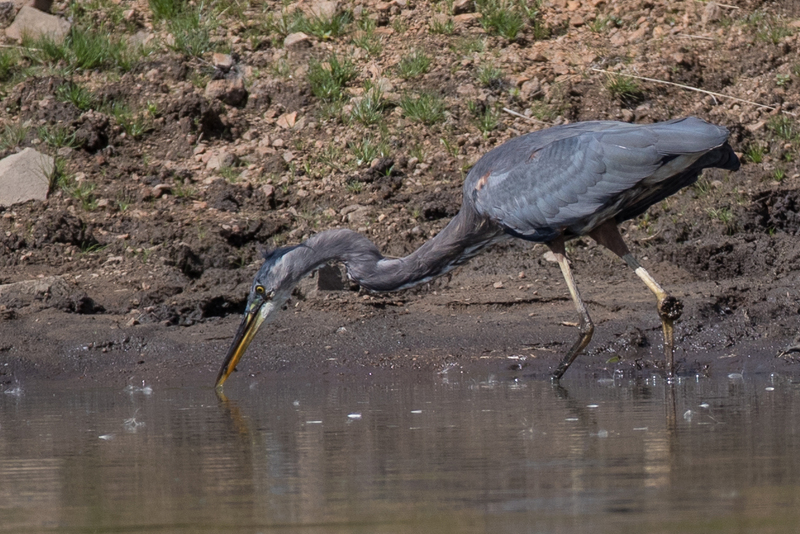 The opportunity to photograph this heron on a small pond on the Southern side of Outlook Mountain only occurred because I had spooked the hawk I was trying to get closer too. 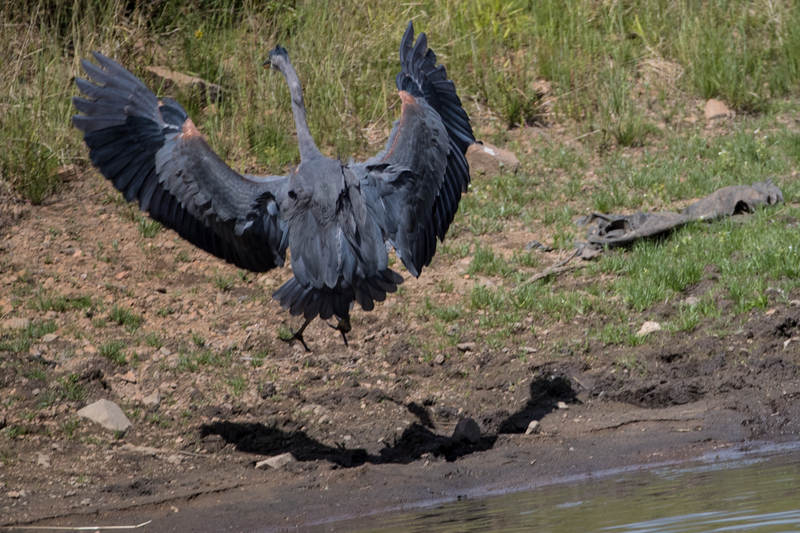 With the hawk taking flight I turned to move away and my movement flushed up the Heron which was literally beneath my feed, tight in to the shady bank. 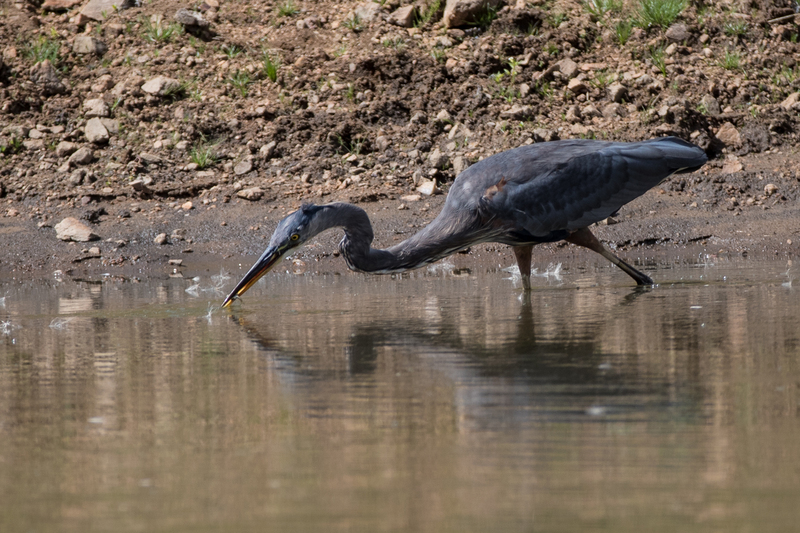 Having taken a couple of images as it flew across the pond I then set about getting close enough to grab a couple of images of it fishing. 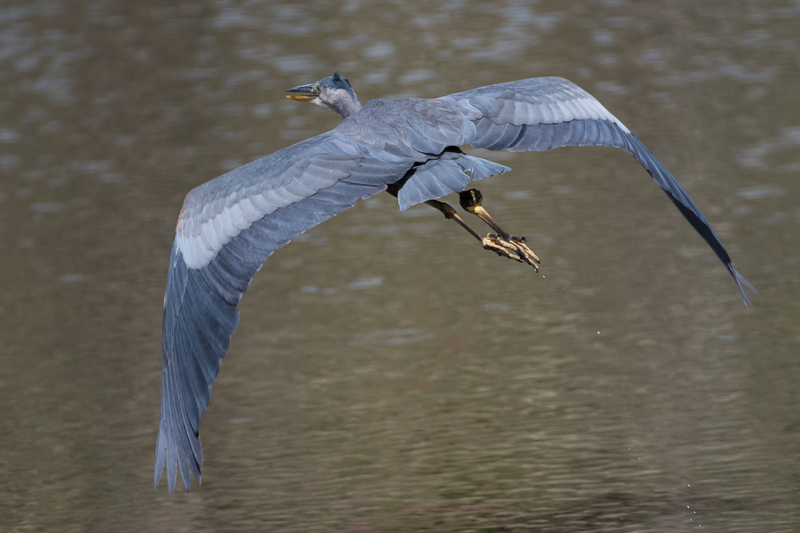 Taking flight across the pond. 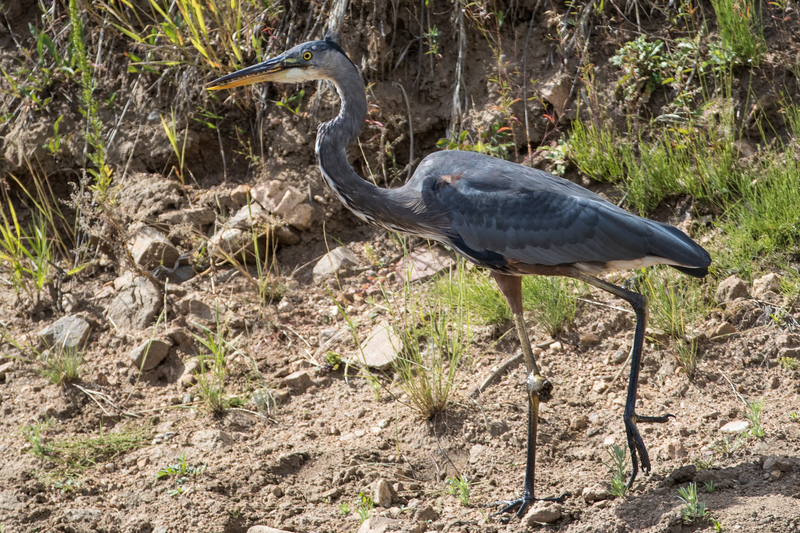 The heron was slightly larger and a darker grey than those we find in Scotland. 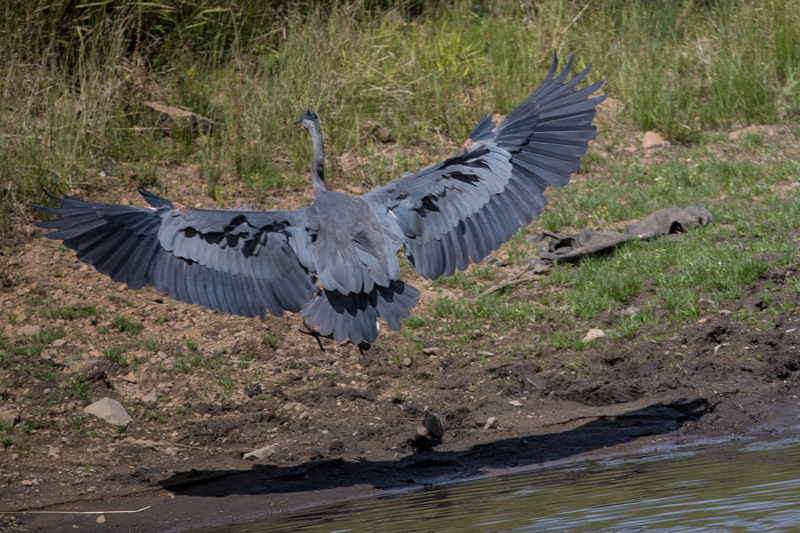 A few ruffled feathers on landing but an impressive wingspan and a lovely graduation of colour on the two types of wing feather. Wings forward for final breaking and touchdown.